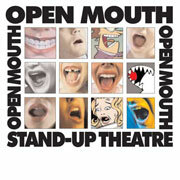 Open Mouth returns with a program of Midsummer Madness. 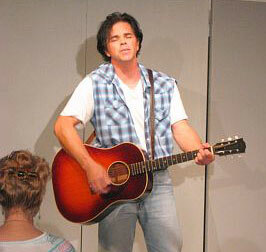 The performance included guitarist/singer Steve Kirkman, the worldâ€™s tallest female comic Kim Blacklock, new short plays by Lora Lee Ecobelli and James Shearwood, Irish raconteur Jerry Furey, old plays by Ring Lardner and the Federal Theatre Project, a moment of Tennessee Williams and singer/songwriter Mike Latini with bassist Jim Nowak. The performers, in addition to those above, included Jocelyn Beard, Greg Brown, Bart Cook, Blythe Beard-Kitowski, Peggity Price, Steve Schreiber, Midhat Serbagi and Daniel Simon.